Create a lush look that can resist wind, sweat, exercise or even light rain. 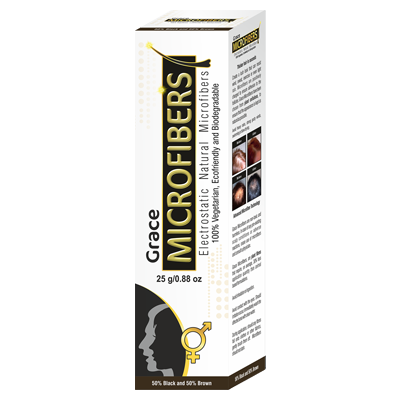 Microfibers are positively charged to ensure adhesion to the follicles. Grace Microfibers have been chosen from plant cellulose, to ensure that the appearance is kept as natural as possible. or adverse reactions, cease use of microfibers and consult a physician. 30% less application quantity than animal based formulations. Shake the container well before each use to activate the fibres. Wash and dry your hair completely before styling. 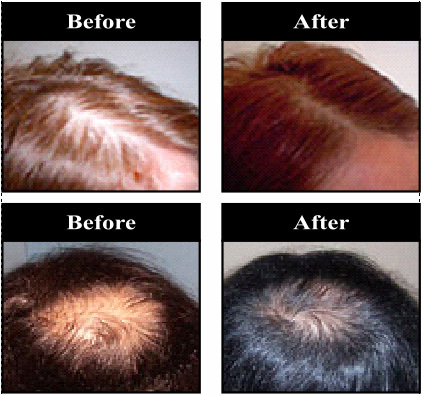 Once styled shake the fibres over the desired area until the scalp is no longer visible. After application, gently pat the area to ensure the fibres are fused with the hair follicles. Avoid combing and blow drying the hair after application. For best results, hair spray may be used to ensure the fibres are fixed to the hair. Store in a cool, dry location away from moisture.